Product prices and availability are accurate as of 2019-03-31 21:19:00 EDT and are subject to change. Any price and availability information displayed on http://www.amazon.com/ at the time of purchase will apply to the purchase of this product. Punch! 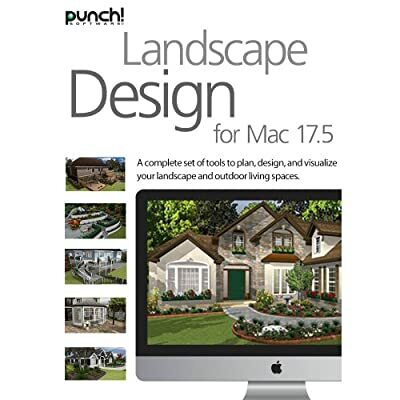 Landscape Design provides a complete set of tools to plan, design, and visualize your landscape and outdoor spaces. You can try different plants in a landscape bed, create the perfect outdoor kitchen, and even add a pool or entertaining area! Enhanced Floor Management - Create up to 4 floors! Create independent structures such as outbuildings and detached garages. Drag and drop 3D objects and plants while using the 3D viewpoint. 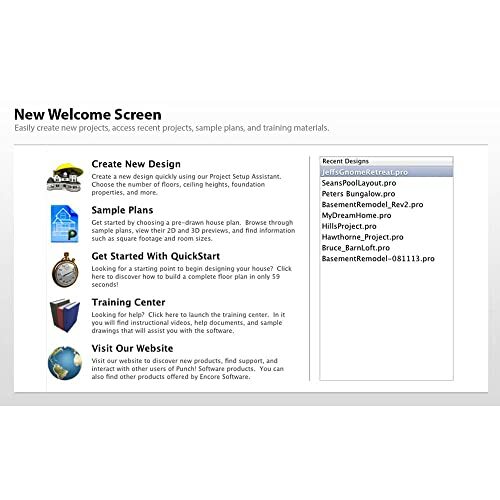 Easily create new projects, access recent projects, sample plans, and training materials. 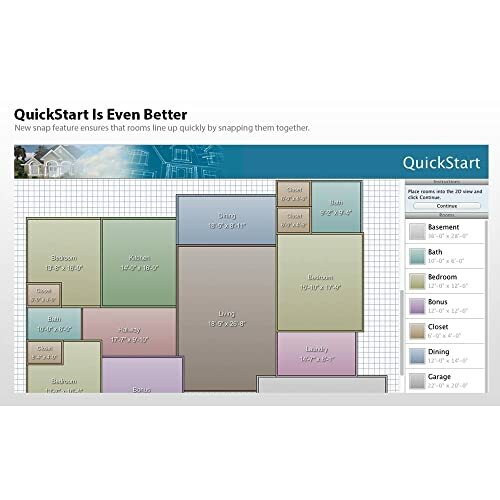 Use QuickStart and in 60 seconds learn how to create a complete floor plan. Choose from an extensive library of customizable electrical switches and outlets. Set exact dimensions in inches AND centimeters. New snap feature ensures that rooms line up quickly. Drag and drop plants into your design from a library of over 4000 flowers, shrubs, and trees. Select plants by growing region, water requirement, or sunlight needs. Use the Grow feature to see how your landscape will look over time. Choose from a wide range of materials like roofing, stucco, siding, brick, and wood. Customize patios, walkways, and driveways with pavers, concrete stains, and stone. 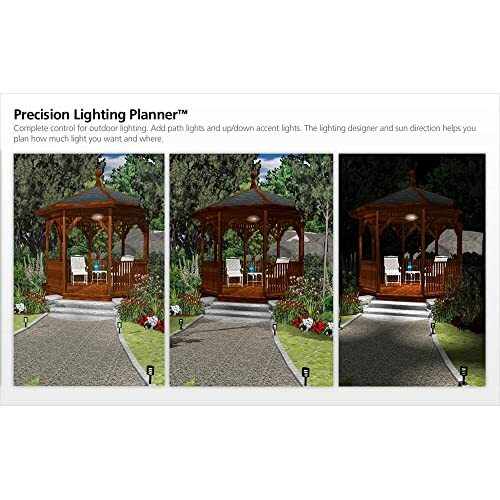 Precision Lighting Planner™ provides complete control for outdoor lighting. Deck tools to expand your living space Drag and drop deck templates provide quick single or multi-tier decks. Intellideck makes it easy to build a custom deck in 2 clicks of a mouse. Intellideck intuitively knows the shape of your house as you draw so you can build a custom deck in seconds. And Much More!